CAIS Advisory Council Guides Platform on Future Needs and Expectation of Advisors. NEW YORK, Mar 19, 2019 – CAIS announced the addition of two industry veterans to the CAIS Advisory Council: Jim Patrick of Envestnet and Lee Beck of Kudu Investment Management. The CAIS Advisory Council consists of 20 executives of leading firms, including Barron’s top-ranked registered investment advisors (RIAs), the nation’s largest RIA platforms, leading independent broker-dealers, globally recognized product managers, independent custodians, Silicon Valley technologists, and other key ecosystem participants. Each Council member brings unique input into the key role CAIS is playing in the wealth management industry, and how the firm will evolve moving forward. U.S. Distribution for Allianz Global Investors. As founder and board member of Cavendish Global and the Institute for the Fiduciary Standard, Mr. Patrick brings expertise to the CAIS Advisory Council on CIO solutions, investment research, RIAs and managed investment products. Mr. Beck is managing partner at Kudu Investment Management and brings extensive experience offering tailored capital solutions for asset and wealth management firms globally. Prior to starting Kudu, he led distribution and related execution teams at some of the world’s most successful investment management firms, including BlackRock, JPMorgan, and PIMCO, where he was also a member of several executives, operating and global investment teams. access to third-party due diligence from Mercer, a simplified web-based subscription process and integration with all major custodians and reporting platforms. 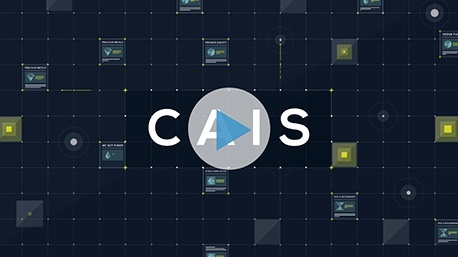 Founded in 2009, CAIS connects its network of alternative investment managers with more than 450 wealth management firms represented by 9,000 advisors who oversee more than $1 trillion in assets. Click here to read the Envestnet and Kudu research paper on The Disruption in Asset Management via the CAIS platform.